Hi friends! I’m super pumped to share this awesome product with you today. In honor of Spring (finally!!!) beginning, we are sharing lots of cleaning tips and tricks with you and it only seemed fitting to throw in some of our favorite cleaning products as well. When Shark contacted us to review the Shark Steam and Spray, we could not have been more excited. I have a Shark Navigator that I use daily and LOVE so much so I knew I’d probably love the Steam and Spray. 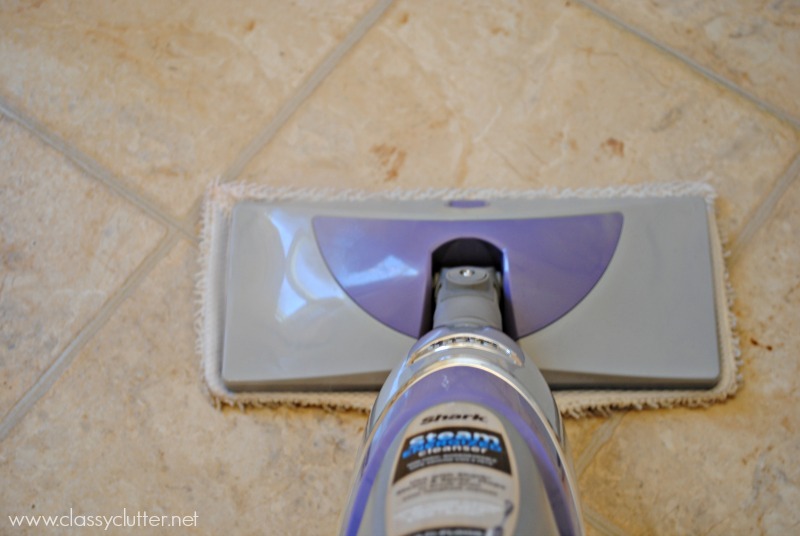 Basically, the Shark Steam and Spray is an electric mop It’s lightweight and has a cleaner and a steamer built in. 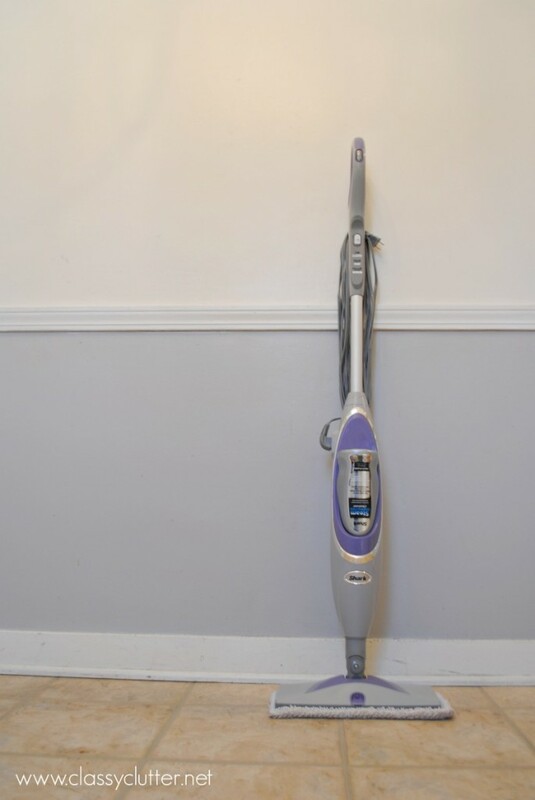 It plugs into the wall, just like any regular vacuum and has 3 cleaning modes; Scrub, Mop and Sanitize. I use Scrub and Mop the most. Sanitize is awesome too! I have these linoleum marble-ish looking floors in our kitchen and I never feel like they look “clean”. I think it’s a combination of the beige coloring and the marbling effect. After the kiddos ate lunch I swept and this was what was left on the floor. Seriously, 3 small kids in a small dining area is a recipe for disaster! You guys, the steamer part of it is life changing. Do you see that spilled juice and melted popsicle that my 3 year old dropped (and left!) on the floor? It steamed it away in seconds. As you move it back and forth, it steams up the floor and basically steams off any gunk! It’s amazing!!! That is by far my favorite part of this little machine. I also love that it is lightweight so when my 5 year old wanted to give it a try, he totally could. Mommy needs help so with cleaning so I’m glad my kids want to, and are capable of, using the Steam and Spray mop. The mop comes with 2 types of pads. The sanitizing pads and the regular mop pad which throws in the washing machine. I try to schedule cleaning my towels on the same day that I mop so I can throw it in with the towels. Can you even imagine never having to wring out a disgusting mop head ever again. Halle-friggin-lujah. I seriously hate using a mop. Bleh! This thing may save my life… or at least my sanity! A lot of things gross me out when I’m pregnant (which I happen to be!) and I’m so glad I don’t have to wring out nasty mop heads any more! Booyah! 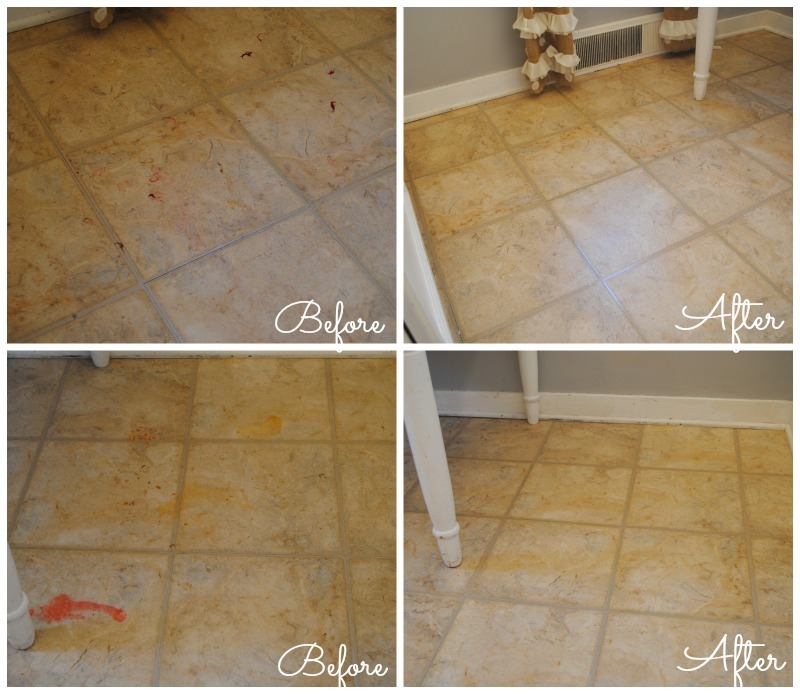 Save your sanity and beautify your floors and grab yourself a Steam and Spray Mop. You will love it and thank me later! Oh, I recently taught the Young Women in our Stake (church) a workshop on how to clean, organize and decorate their rooms. I shared this fun printable with them. 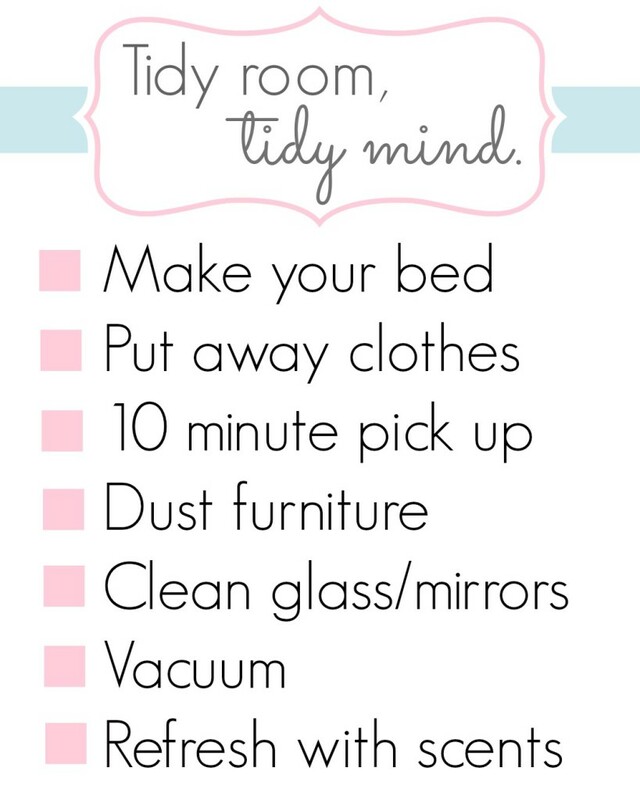 I love to use it as a guideline for cleaning bedrooms. I thought it may be helpful to some. Especially those with pre-teens and teens that seem to work better with exact instructions. 😉 Maybe this checklist will help them from shoving everything under the bed or in the closet to achieve a “clean” room. 😉 We can dream right? I have been dying for one!!!! I need it for my laminate floors!!! Otherwise I hand wash them because I can’t find anything else that I like. Yay! So glad that cleaning glass made it to your printable list! Hi! I just found your blog from pinterest! I haven’t used this model but my MIL has a older model and it is absolutely wonderful! We have a shark lift away vacuum and it saved my vacuuming sanity! 🙂 I have a 4 year old and dogs…and hubby! Growing up, my mother was an awful housekeeper and I have been learning as I go! It helps when hubby pitches in too! I have one of these for a year now and I love it! It’s so easy to use and the final results are great. Thank you for the printable! Hi there, thanks for the honest review and printable checklist 🙂 I personally also like that you put pictures of before and after, it really helps the review. I look forward to reading more, all the best for 2017! Love this! The printable checklist is really helpful–I’m a big fan of them! 🙂 Thanks for sharing!